Our expert team provides reliable septic tank pumping. You can always trust our team to deliver exceptional results. 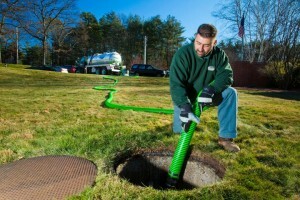 The expert team at Event Solutions offers reliable septic tank pumping with exceptional results. Professional septic cleaners come with a tank truck that hooks up to your septic system and removes its contents. We completely pump out and remove all sludge from tanks and wash down the walls and floors remove all debris from the tank. Those contents are then transported safely off your property. We uphold professionalism, integrity and honesty. Rest assured that every job is completed with quality workmanship. Event Solutions has been a provider of sanitation services for over 14 years throughout Louisiana and Southeast Texas. Whether in Beaumont, TX or Lafayette, LA Event Solutions offers competitive pricing and outstanding service when it comes to septic tank pumping. Septic tank pumping is an essential maintenance task to keep your waste water system in working order. Septic tanks need to be pumped every two to three years to keep working properly. The sludge at your tank’s bottom requires periodic septic cleaning or pumping. Even the best bacteria can’t fully break down all organic material, meaning it will start to build up and take more of the tank’s space. If there’s not enough room for water, the sludge will start to back up into leach field, your home’s pipes or may cause a tank failure. Event Solutions provides reliable septic tank pumping throughout Louisiana and Southeast Texas, including Lafayette, Sulphur, Lake Charles, Hackberry, Cameron, West Lake, Moss Bluff, Vinton, Beaumont, Orange, Port Arthur, Port Neches, Nederland, Groves, Vidor and Bridge City.